Invasive non-native species are a major threat to global biodiversity. Often introduced accidentally through international travel or trade, they invade and colonize new habitats, often with devastating consequences for the local flora and fauna. Their environmental impacts can range from damage to resource production (e.g. agriculture and forestry) and infrastructure (e.g. buildings, road and water supply), to human health. They consequently can have major economic impacts. It is a priority to prevent their introduction and spread, as well as to control them. Freshwater ecosystems are particularly at risk from invasions and are landscape corridors that facilitate the spread of invasives. This book reviews the current state of knowledge of the most notable global invasive freshwater species or groups, based on their severity of economic impact, geographic distribution outside of their native range, extent of research, and recognition of the ecological severity of the impact of the species by the IUCN. As well as some of the very well-known species, the book also covers some invasives that are emerging as serious threats. Examples covered include a range of aquatic and riparian plants, insects, molluscs, crustacea, fish, amphibians, reptiles and mammals, as well as some major pathogens of aquatic organisms. 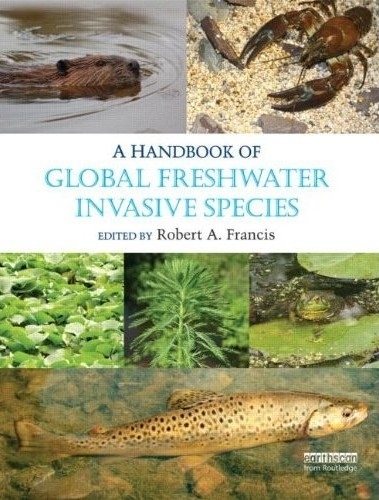 The book also includes overview chapters synthesizing the ecological impact of invasive species in fresh water and summarizing practical implications for the management of rivers and other freshwater habitats.